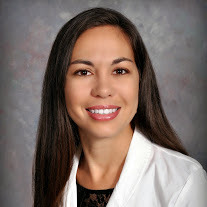 Jessica Guerra is a licensed acupuncture physician. She is licensed by the state of Florida and recognized by the National Certification Commission for Acupuncture and Oriental Medicine (NCCAOM). She earned a master's degree in oriental medicine and a bachelor's degree in professional health sciences at East West College of Natural Medicine. Driven by her passion for Chinese medicine, she completed an internship in Huangzhou, China in 2012. Jessica has additional certifications in Acupuncture Point Injection therapy and Cosmetic Acupuncture. Jessica's goal is to help you achieve optimum health and wellness. Through working with patients, she has seen the impressive results that acupuncture and Chinese medicine can have. Jessica is grateful to be able to share the benefit of her extensive education with you. Her background includes training not only in acupuncture, but in a wide array of Chinese medicine modalities. Your unique health care situation is of the utmost importance to Jessica. She is pleased to answer any questions you may have regarding how acupuncture and Chinese medicine can benefit you. Together we can work toward achieving your health and wellness goals.